A toast to American craftsmanship: Amish artisans built the martini bars for the guestrooms. American craftsmanship raises the bar. The TWA Hotel — opening in spring 2019 — will feature custom-built millwork proudly crafted in the U.S.A. by expert Amish woodworkers. 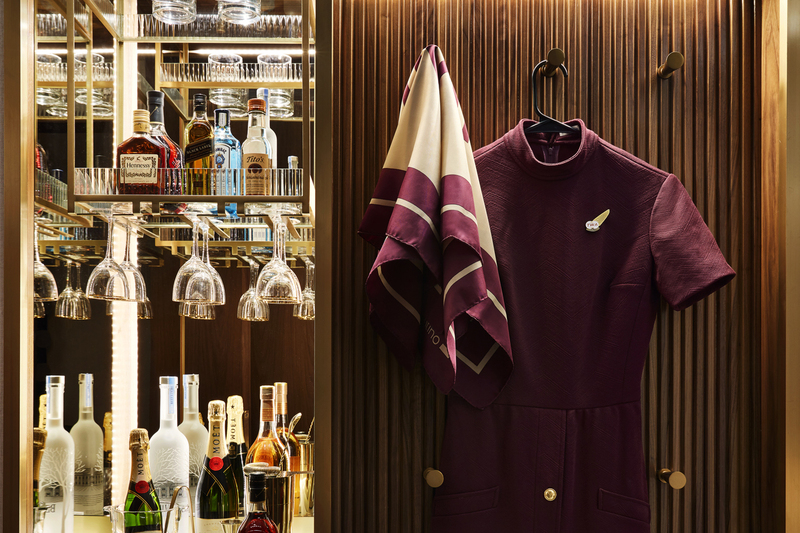 Despite receiving lower bids from vendors in China, Malaysia and Vietnam, MCR and MORSE Development turned to Ohio’s Amish Country for the elegant walnut martini bars and tambour walls that will grace the TWA Hotel’s 512 guestrooms. TWA tambour comes to life: Unfinished walnut boards are cut on angles and later varnished. Run of the mill? Not even close. Next stop, Queens? 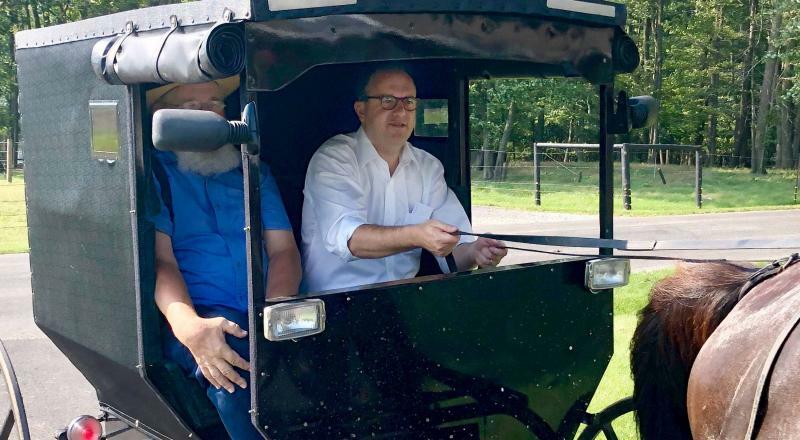 Tyler Morse, CEO of MCR and MORSE Development, took the reins during a buggy ride. Tyler Morse, CEO of MCR and MORSE Development, visited the Ohio factories last fall with TWA Hotel team members to witness the production. 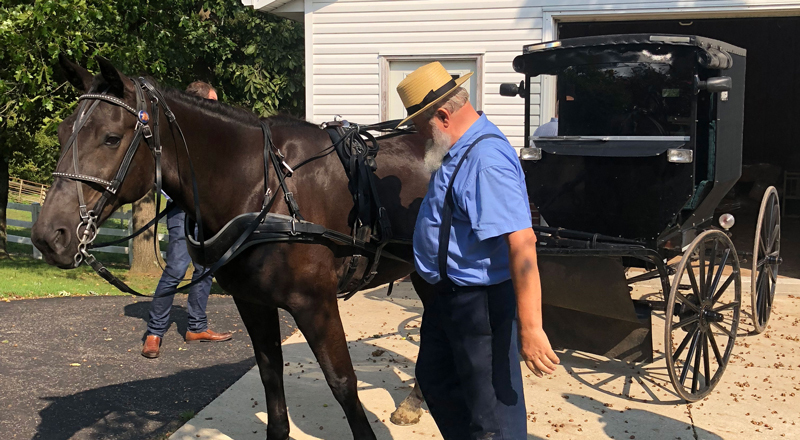 Joe Yoder, owner of Hilltop Woodworking, and his father, Eli, who started the company 25 years ago, hosted a tour of the Amish- and Mennonite-owned facilities — and a buggy ride courtesy of their horse, Charlie. The visitors also planted walnut trees as part of the community’s regrowth program. Eli Yoder and his horse, Charlie, provided transportation. 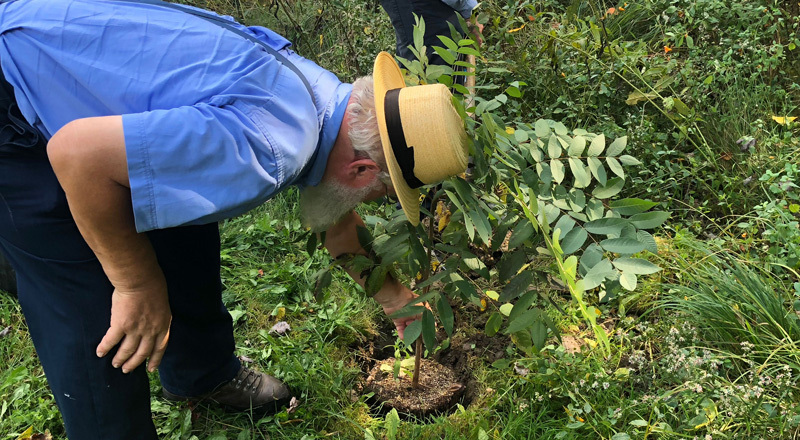 TWA Hotel team members planted walnut trees with Eli Yoder as part of the local community’s regrowth program.